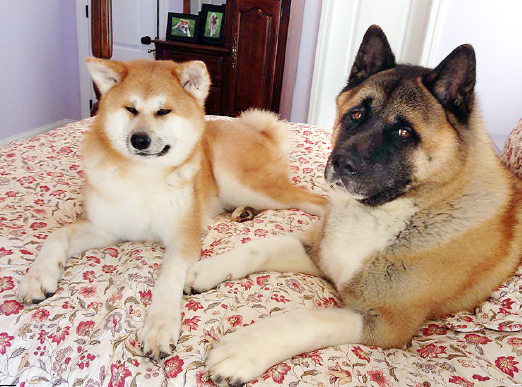 Nabi (left) and Bear represent the Japanese Akita and America Akita breeds. Both breeds will be showcased on the weekend of Feb. 13-14 at Arthur Lee Johnson Memorial Park in Gardena. GARDENA — Two premier Japanese Akita dog breed clubs will hold their annual conformation shows in Gardena over Valentine’s Day weekend. 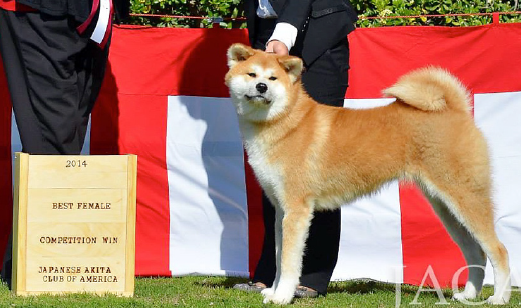 The Japanese Akita Club of America UKC Specialty will be held on Saturday, Feb. 13. The Akita Inu Hozonkai L.A. Branch Show will be held on Sunday, Feb. 14. Both the JACA and the AKIHO LA shows start at 10 a.m. and finish around 2 p.m. The Japanese Akita Classico is the only full-weekend event featuring the breed in North America. The Akita-inu is one of Japan’s native dog breeds with Hachiko — the dog who waited for his master Professor Hidesaburo Ueno at the Shibuya Station in Tokyo every evening for more than nine years, not understanding that the professor had passed away — the most famous of them all. What is unknown to people outside of the dog show world is that there are actually two breeds of Akitas: the Japanese and the American. Both breeds are characterized by their loyalty, stubbornness and protectiveness, but it is in their physical appearance and history where the two breeds differ the most. In size, the Japanese Akita is smaller and more refined-looking than their American Akita cousins, and while coat colors run the gamut in the American Akita, the Japanese Akita’s breed standard only allows for brindle (tora in Japanese), red or white. Apart from their physical differences, the Japanese Akita is known for being more primitive in temperament. The Japanese Akita and American Akita are recognized the world over as separate breeds except by the American and Canadian kennel clubs. However, in the U.S., the United Kennel Club (UKC), a registering body much like the AKC, does recognize them as two breeds, which gives aficionados of the Japanese Akitas a show ring to compete in. Because the AKC closed the stud book to import Akitas from Japan, the two breeds diverged greatly with Japanese breeders going back to a similar look with all the native breeds that were nearly lost in World War II and American breeders working toward the look that had resulted from cross-breeding Akitas with German shepherds and mastiffs during the war. AKIHO LA and JACA are considered the caretakers of the breed in the U.S. with members in several different states but mainly on the West Coast. The Akita Inu Hozonkai, which means Akita Dog Preservation Society, was founded in 1927 in Odate, Akita Prefecture. The Los Angeles AKIHO Branch was established in 1970 as the first foreign branch after several years of holding unofficial shows in conjunction with Nisei Week in Little Tokyo. Kaori Go Junketsu, owned by Steven Takamatsu, is one of the top dogs. AKIHO Headquarters in Japan views the Los Angeles branch as the North American branch since there are even Canadians on the branch’s roster. The majority of AKIHO LA’s founding board members were Japanese Americans and Japanese immigrants. JACA was founded in 1997 mainly by Americans who had moved from breeding and showing American Akitas to Japanese Akitas. Their great affection for the breed and respect for the wishes of Japan as the country of origin fueled their dedication to preserve the Japanese Akita at a time when some American breeders were mixing the breeds. The shows will be held at Arthur Lee Johnson Memorial Park, 1200 W. 170th St. in Gardena. There is no charge to view the show, but coordinators ask those who come as spectators to leave their own dogs at home. No Flexi-leads will be allowed on show grounds on the days of the show. For more information, visit the Facebook pages of AKIHO LA and Japanese Akita Club of America. 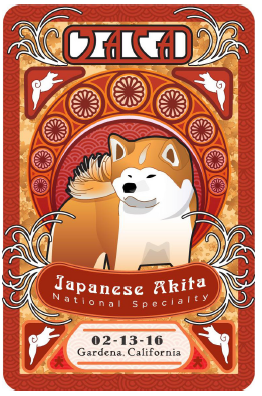 Is there going to be an American Akita show in L.A. soon?